Stampers and paper crafters of all skill levels will benefit from this variety of ideas and tutorials based on seven stamp frame sets designed for creating A2 sized cards. Beginners will hit the ground running learning basic techniques with limited supplies, and more advanced crafters will enjoy unique color combinations, layouts and fresh design ideas using with these popular stamp images. For the non-crafter who would like to send handmade cards, this book by makes the task manageable, the process enjoyable and the finished results beautiful. 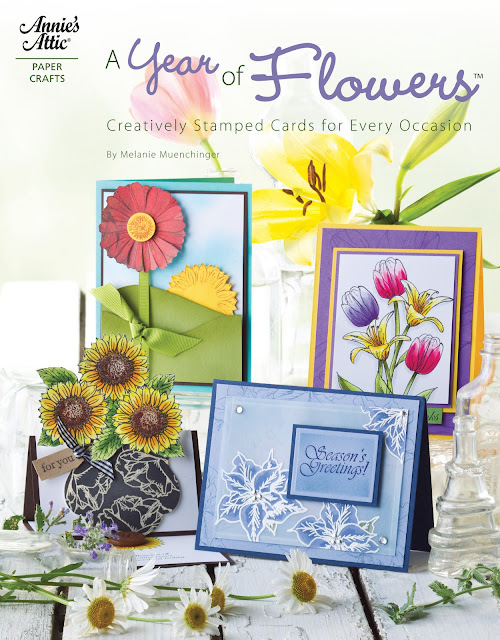 Enjoy a year's worth of beautiful card designs, arranged by month and occasion, all using the "A Year of Flowers" set from Gina K. Designs, that demonstrate popular stamping techniques. Detailed, step-by-step instructions and photos make it easy for crafters of all experience levels to enjoy making stylish, handmade cards, from very simple to multi-layered designs, using a variety of unique color palettes and layouts. With the built-in perpetual calendar, A Year of Flowers will not only allow you to grow and perfect your card-making skills over the course of the year, you can sit down, plan, create, and get cards out on time! "A Year of Flowers" stamp set is used in every sample in this book.